Mountain Mods Silver Thumbscrews are a nice affordable option for a thumbscrew. 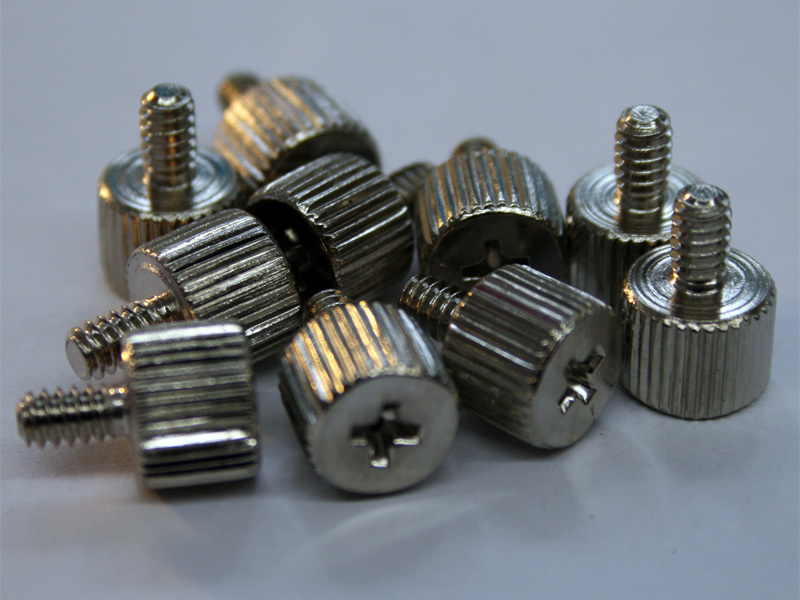 These Knurled Thumbscrews have a shaft length of approximately 1/4 inch. This allows them to be used with 1/8th inch thick acrylic panels. They have a flat mounting surface allowing for more surface area to give greater security to parts it is attaching to. Thread is 6-32 and can be used anywhere a normal 6-32 screw can be used. A Phillips head socket allows you to get beyond thumbtight grips with the use of a screw driver.